Statistically, the internet has over 3.17 billion users and about 2.3 billion of these users are active on social media. There is no doubt that social media has proven to be a broad medium that connects you with millions of people across the world. We have decided to exploit this fact, by providing a tailored strategy which includes boosting and creating compelling social media post for businesses in dire need social media presence. Social Media is a means of creating a personal, emotional connection between you and your consumers. By establishing a common ground and relationship in which your voice and theirs become one, Social Media has the power to make your consumers brand champions. 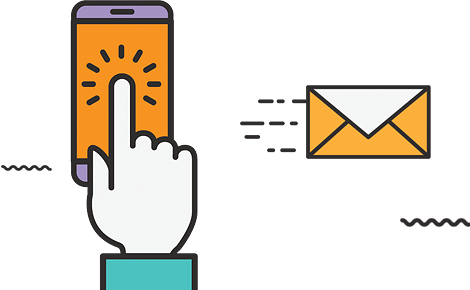 At AnythingPixel, we offer custom solutions in Social Media Account Management using growth strategies and content creation, all produced to reinforce that relationship, elevate consumer response, and increase brand awareness and conversions to your site. The Social Media Basic focuses on providing ROI for the businesses, sophisticated targeting, high-quality creativity, and turnkey social media service to drive awareness, calls, and foot traffic for local businesses that have a physical office or is location-specific. Social Media Advanced is an all-in-one social media package that covers major social media channels. This solution includes unique content creation, brand monitoring with 2 Facebook ads. Social Media Custom includes unique content creation, brand monitoring as well as Facebook, Instagram, Linked In, Pinterest, Snapchat and Twitter ads management, ad budget monitoring, and other social media activities. Want to see how AnythingPixel can help you with your Social Media?